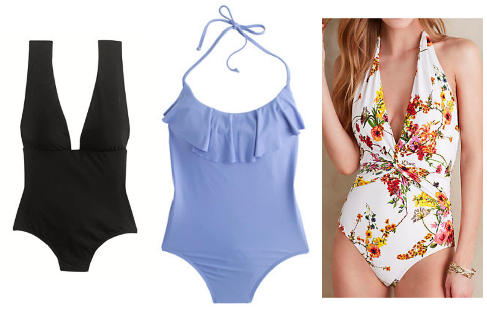 i’ve never been a big lover of the one-piece however, since having my first born, i must say i’m much more comfortable in a one-piece than a two piece suit. especially since 99% of the time i’m in or near a pool or body of water, my girls are with me. and things tend to not stay in place as well when wearing a bikini. 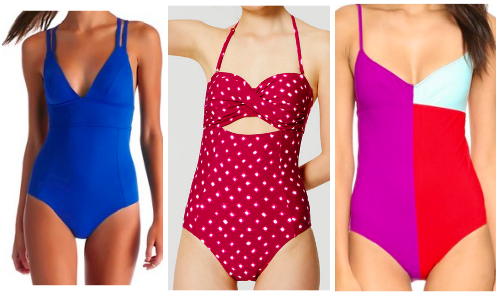 i’ve rounded up a few of my favorite one piece suits this season and can’t wait for the weather to warm up now! 1. when in doubt, i always go for the classic black and this one with the v-neck is just beautiful! 2. this blue and the ruffles; it’s just dreamy. 3. it’s almost a good thing they’re sold out of my size because these nursing boobies would never have stayed put but i would have bought this florally swimsuit anyways. 4. i love treating myself to a new swimsuit every season and this bright blue one is it for summer 2016. 7. what’s with the blue? i’ve got all the heart eyes for the powder blue this summer apparently. 9. such a pretty vintage suit. i may have to snag this one too for the summer.